Scientists have shown that visual imagery and repetitive training create neural pattterns which help improve athletes, Tiger Woods was trained this way. Wayne Rooney, the kid from liverpool didn’t know all that, he just developed his own visual techniques which he uses till today. “You need to visualize realistic things that are going to happen in a game,” Rooney says. 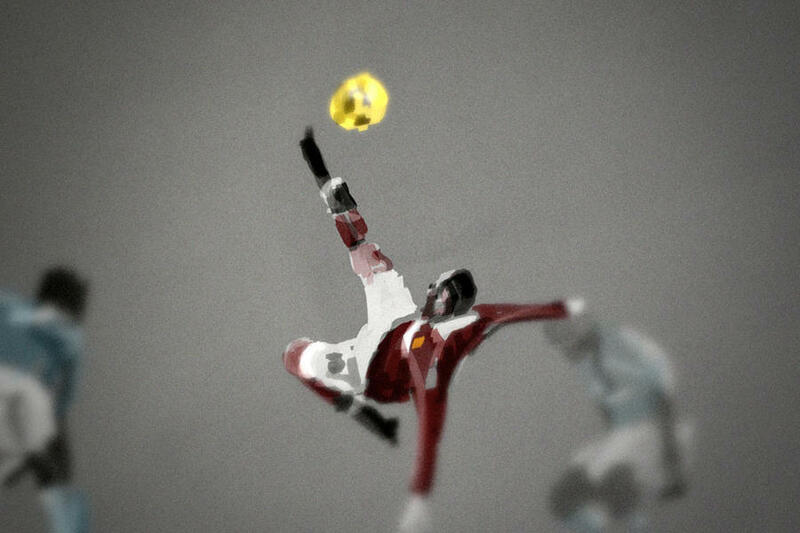 That goal against Manchester City — Like he had probably visualized hundreds of times as a child. The product of an agile mind. A wonder goal. This article is based on a real interview that appeared on espn.com as part of their build up to euro 2012. During the Interview, wayne rooney talks about how he owes his success to vision and constantly imagining scenarios and anticipating such opportunities. Despite his portrayal in the media as a dullard, a high school drop out.. He does gets his fair share of controversy, senseless tackles that lead to suspensions (like the one that kept out of the first two matches at the euros), sleeping with hookers despite having a pregnant wife. He comes across as something of a genius. he even has a tattoo “just enough education to perform” on his arm as a reply to those who say he’s illiterate. He’s more of an instinctive player.. As a kid, From the moment he woke up till he went to bed, he thought about football..
Just look at some of the greatest athletes of all times, the speed of thought and decision making makes u wonder if they’ve done what they do before, they can see things that others can’t. If they see things which others can’t. In these modern days and times, its easy to get lost in the crowd, too be too busy to even have the time to reflect and visualize, to imagine and to reflect. Vision helps to face life issues, become more efficient and to assess if you are going astray.